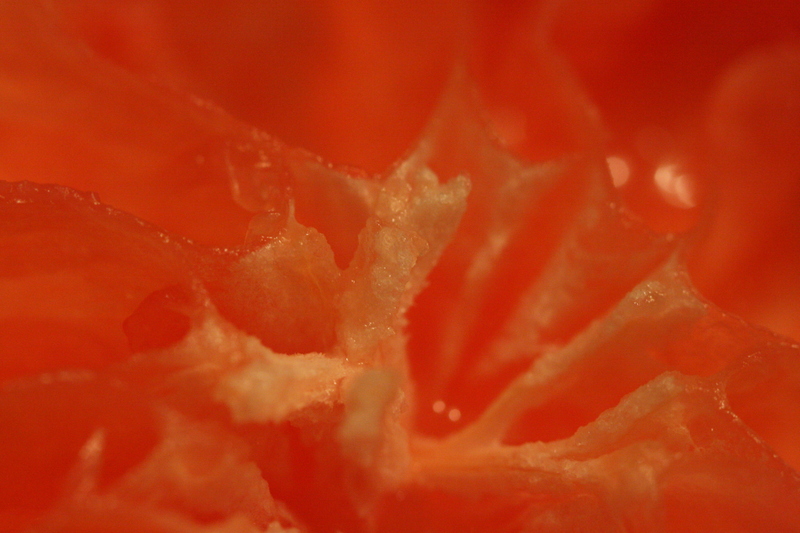 You're looking at my dessert from last evening's dinner – half of a ruby red grapefruit. Always on the lookout for interesting patterns, I noticed how closely it resembled a flower. 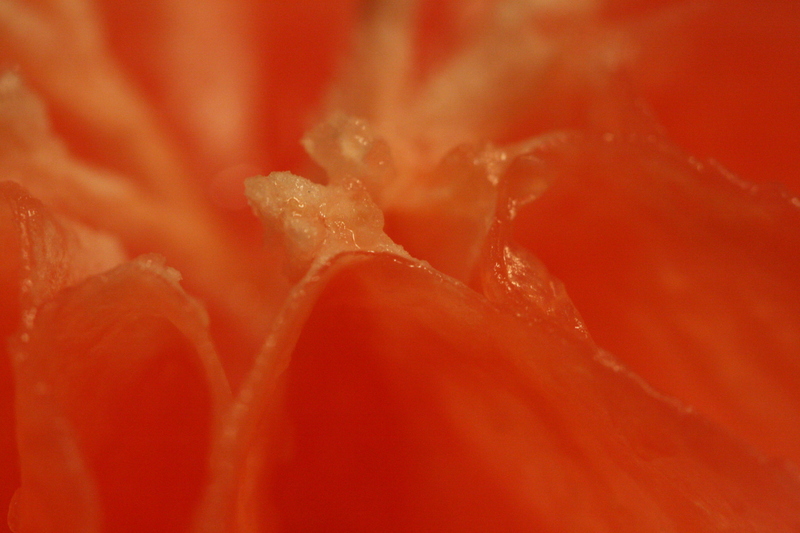 So out came the macro lens. One thing I'll say about it, it's less embarrassing when I do this at home than it is when I pull out the camera in public to take a picture of whatever's on my plate. It's gotten me some curious looks. I know those curious looks. And if there are attractive females around I get really suspicious looks as well. I’m only photographing my latte, honest! Next Post Authenticity, equality, and hope.